Rooms filled with natural daylight offer many benefits to your health, mood, and pocketbook. Learn how today's tubular skylights are bringing light to almost every room of the house. There’s no substitute for natural light. In comparison with the artificial variety, it’s better for your health, the environment, and your electric bill. So figuring out how to get more daylight into your home is a worthwhile endeavor, to say the least. For rooms with an exterior wall, the solution is simple—add a window. For interior spaces where windows aren’t an option, tubular skylights are a smart alternative. Unlike traditional skylights, which require a direct line of sight from the roof to the light-deprived room below, tubular skylights can deliver natural daylight easily to virtually any area of the house. Factor in the economical, environmental, and emotional benefits they offer, and it’s not hard to see why tubular skylights have become a popular choice for a multitude of today’s residential and commercial daylighting applications. Tubular skylights, also known as “solar tubes,” “sun pipes,” “light tunnels,” and “tubular daylighting devices,” typically use a rooftop dome to capture the sun’s rays and then transfer the light indoors through a highly reflective tube. The modular design allows them to be customized to whatever length may be required—up to as much as 40 feet in some cases. Because the tube itself is compact and available in adjustable and flexible designs, it can be configured easily to avoid attic obstructions for fast installation. The result is a more versatile skylight that can carry natural light into interior spaces where traditional skylights and windows can’t reach, spaces like closets, bathrooms, and hallways, to name just a few. One obvious cost-saving benefit of installing a tubular skylight is that daylight is free. Once the device is installed, your dependence on electricity is reduced, and so is your utility bill. 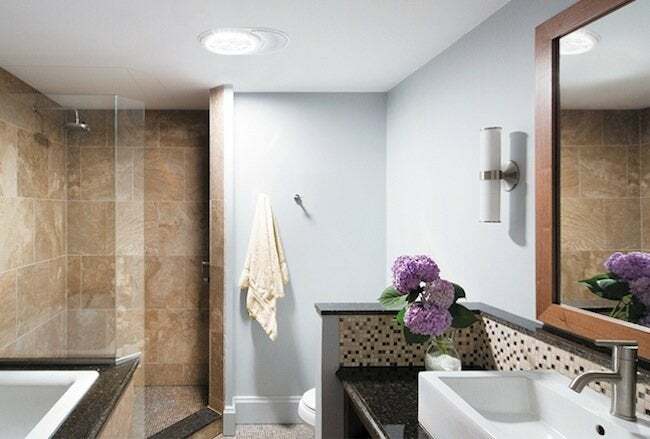 Tubular daylighting devices, like those from Solatube International, Inc., are also more affordable and less costly to install than traditional skylights. In most cases, they can be installed in a matter of hours, requiring no construction, drywall, or repainting. 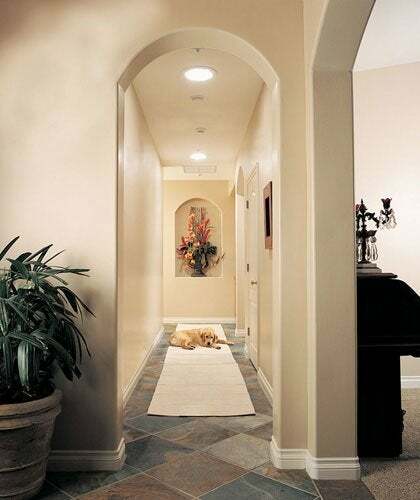 Solatube Daylighting Devices are designed with a patented light-capturing dome that redirects low-angle sunlight and rejects overpowering midday summer sun. They also minimize heat gain and loss for added savings on heating and cooling. Skylights harness one of our most coveted natural and sustainable resources—light from the sun. So putting them to work at home not only lessens reliance on electricity, but also reduces energy consumption from power plants. When we consume less, we conserve more natural resources and help limit greenhouse-damaging gas emissions—a win for us and the planet. For added earth-friendly benefits, Solatube’s manufacturing plant recycles its excess production materials, making their products both clean and green. It’s no secret that natural light, or the lack thereof, affects us on a physiological level. Consider the existence of Seasonal Affective Disorder (SAD), a state of depression that can occur when one doesn’t get enough exposure to the sun. Sunlight plays an important role as a mood elevator by triggering the production of serotonin. It is also a key contributor of heart-protecting vitamin D. And it helps regulate circadian rhythms, which contributes to healthier sleep cycles. Sunlight also heightens energy levels and concentration, making you more productive and naturally alert. In short, daylight is a staple of our existence that we rely on for emotional balance. 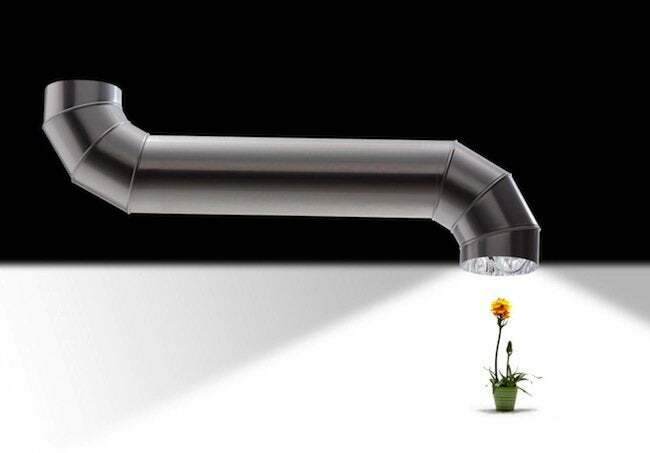 In addition to the many economical, environmental, and emotional benefits of tubular skylights, Solatube has created an innovative hybrid that combines daylighting with LEDs. When there’s plenty of sunlight, the Smart LED System delivers natural light. At night, energy-efficient LEDs automatically turn on. The result is a seamless blending of natural and LED light throughout the day and night so that you’re never kept in the dark.